I do think one of the best aspects of social media is its ability to connect creatives and pave the way for collaboration. When coming from a place of contribution and true genuity, the social platform cultivates an environment that brings people together. I connected with Jayvell on Instagram a while back. She has a super cool style, vibe and positive energy about her. [Jayvell is also the creator of Gather and Weave. Check her shop out!] Before living in Haleiwa full time, I was coming back and forth to Oahu a couple times a year. We'd try to connect over a much needed coffee, but timing never worked out. Until it finally worked out. 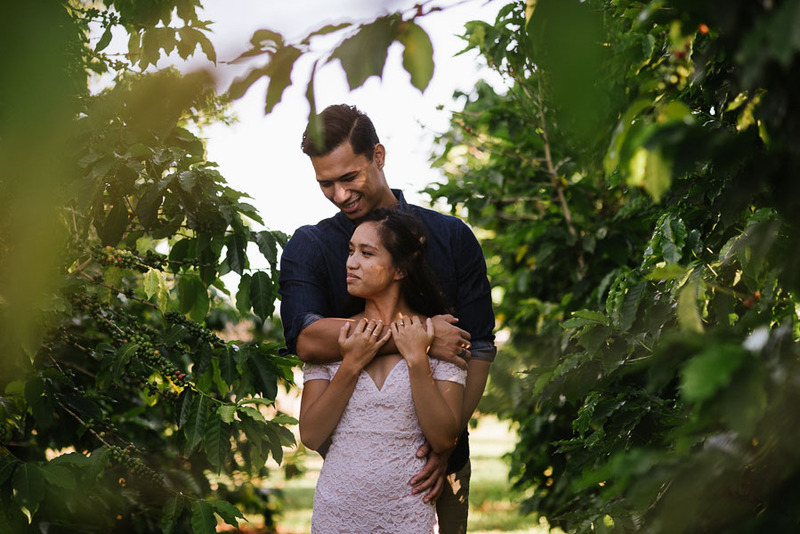 Then, on a Wednesday evening, Jayvell, Aaron and I met over at Green World Coffee Farm to snap some engagement photos. 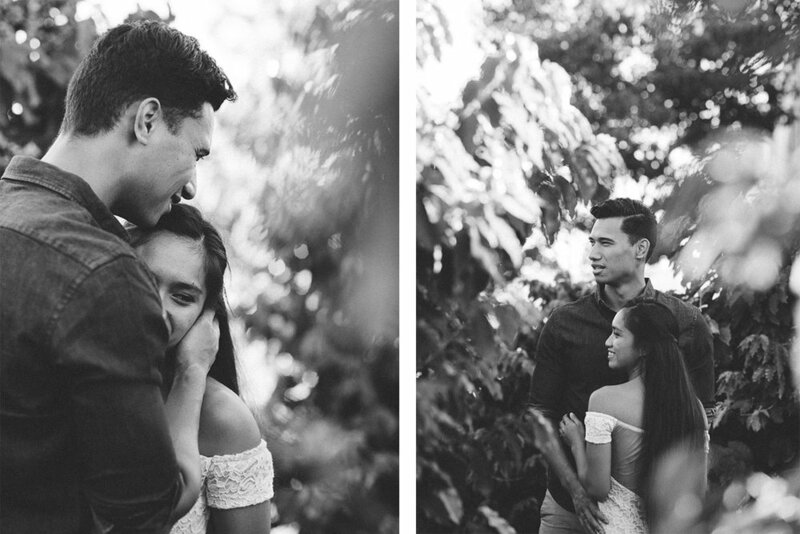 In between the coffee trees, with barefoot strolls, and golden hour falling softly, we captured this story that is Jayvell + Aaron. Kindness, love and sincerity begets kindnesss, love, and sincerity. I cannot wait for their ceremony in November.